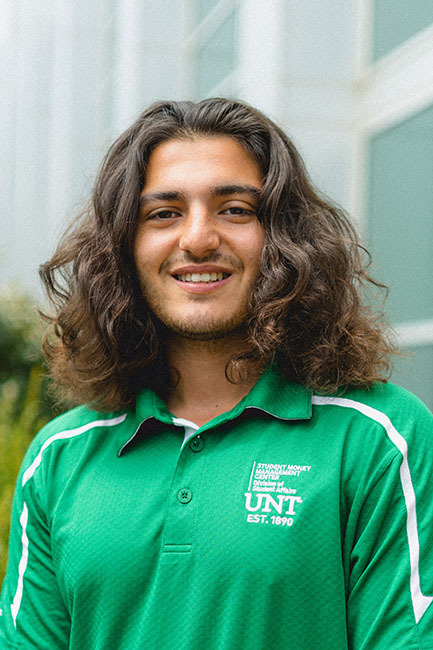 UNT Student Money Management Center Financial Readiness Peer Mentor Mohammad Osman was selected to represent the SMMC team and the university at the inaugural 2019 Higher Education Financial Wellness (HEFW) Student Experience in Bloomington, Indiana, July 14-16. The HEFW Student Experience includes a full-day workshop and student-specific pre-conferences where students will interact with one another and hear from special speakers. The selection committee selected 50 student delegates to attend the inaugural event from a national application pool. Not only was Osman selected as a delegate, but he also was selected as one of the sponsored students guaranteed to receive full funding. Osman is a sophomore studying communications with minors in marketing and international studies. In November 2017, he joined the Student Money Management Center team as a peer mentor in which he provides an array of services to students including outreach programming, personal coaching sessions and emergency aid assistance. After completing his studies, Osman hopes to pursue a career in humanitarian work. One day, he aspires to work with the United Nations to fulfill his lifelong dream of bringing peace to the Middle East.